To download a pdf version of the full 2018 Madagascar country profile, click here. Madagascar isthe world’s fourth largest island, located off the coast of East Africa with an estimated population of 25.5 million in 2017. The country has a very young and predominantly rural-based population with 60 percent falling under the age of 25 and 64 percent residing in rural areas. According to the latest available data, there are 11 banks, 25 deposit-taking microfinance institutions and 18 other financial institutions operating in Madagascar. Despite a well-performing sector, banking penetration remains very low in Madagascar. Low levels of financial inclusion, high interest rates, lack of collateral and limited information on borrowers, constrain access to and usage of credit in Madagascar. With bank interest rates ranging from 9 percent to 24 percent per year and effective interest rates reaching up to 50 percent, it is not surprising that bank lending is only accessible to a small portion of the population (and corporates). Given the low levels of affordability, it is not surprising that most of the residential housing development and sector at large is focused on high-income households and expatriates. Few, if any, private property developers focus on building affordable, well-located units. Aside from the low levels of affordability, other constraints to new development include the time and cost of accessing construction permits and registering a property, in addition to the inefficient but developing land administration system. Until Madagascar has a sufficiently robust and reliable land titling and registration system, the country’s housing market will remain suppressed by households’ inability to realise value from their property and land. However, where private titled land is available and owned by the state, the Malagasy Government needs to create policies which facilitate and encourage the new development of affordable housing solutions, including owner-occupied and rental housing, as part of a broader urban development agenda. The potential for growth and development in Madagascar is pegged to its ability to stabilise the macroeconomic environment, particularly in the face of upcoming presidential elections. 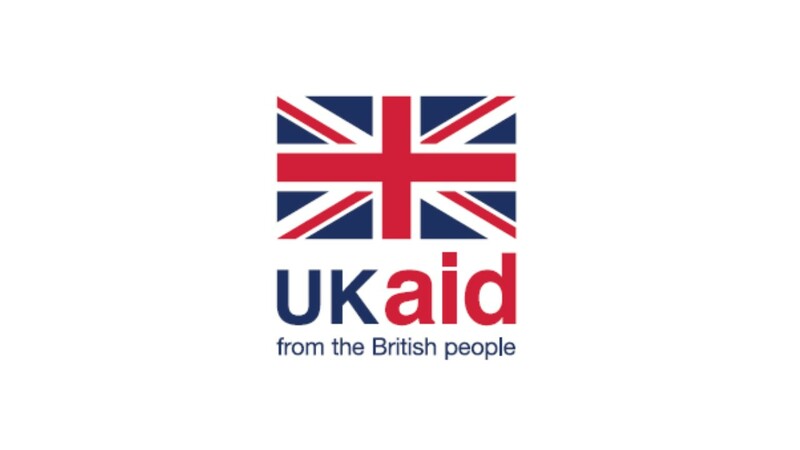 Least of all because the international donor community, which the country is highly dependent on, is very sensitive to political uncertainty, given the country’s history of political upheaval and poor governance. While the country has some way to go before it has an efficient land administration and registration system, good progress has been made in recent years. With improved access to secure title, more opportunities exist for households to realise value from their properties and land. 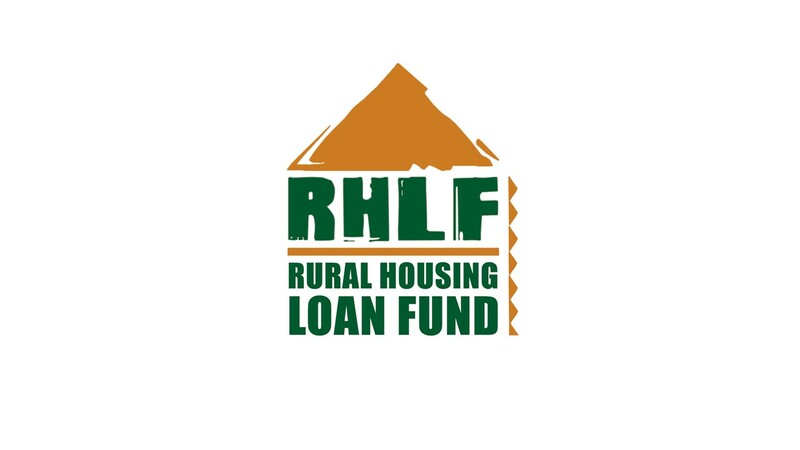 There are further opportunities for both the microfinance and banking sector to continue to adapt their products to cater for the housing needs of low income earners and non-salaried workers. Given the country’s continued risk of natural disasters, particularly cyclones, opportunities exist for innovative insurance products that can protect households’ (and their assets) in the event of such risks. Overall, Madagascar’s current focus on realising inclusive economic growth, macroeconomic stability, good governance, improve land tenure and administration and basic infrastructure (roads, sanitation, drainage, sewerage), is a sound strategy given that the country’s housing market cannot flourish with the abovementioned factors in place. Madagascar is the world’s fourth largest island, located off the coast of East Africa with an estimated population of 25.5 million in 2017.The country has a very young and predominantly rural-based population with 60 percent falling under the age of 25and 64 percent residing in rural areas.However, the annual urban population growth rate is high at 4.5 percent a year with total population growth at 2.7 percent in 2017. The country has experienced good economic growth in the past four years. The estimated GDP growth rate in 2017 was 4.2 percent (up from 2.3 percent in 2013), with a projected growth rate of 5.0 percent in 2018.Contributing to this growth includes a growing transport-services sector, driven by an increase in domestic tourism, a growing manufacturing sector, largely due to the tax incentives in the country’s export processing zones, as well as a highly profitable banking sector. Despite this, the country’s primary activity, agriculture, which is reported to employ approximately 80 percent of the population, continues to contract. 2017 was a particularly difficult year for the large proportion of households who rely on rice crops as a source of both food security and income. Following a severe drought and one of the strongest cyclones to hit the country in its history,rice prices rose by an estimated 30 percent, leading to some of the highest inflation rates in the past five years (9.1 percent as at November 2017).While inflation has eased in the first quarter of 2018 (7.6 as at March 2018), it is still higher than neighbouring countries. With the continued poor performance of the agriculture sector and high inflation rates, amongst other challenges, Madagascar remains one of the 10 poorest countries in the world, based on GDP per capita data released by the International Monetary Fund (IMF). As at April 2018, the country’s GDP per capita was MGA1 633 965 (US$479),and approximately 75 percent of the population are living below the poverty line (defined as $1.90 per day).However, in recent years, the government has been working hard to improve the country’s economic outlook. Under the IMF’s 40-month Extended Credit Facility Arrangement worth US$304.7 million, awarded to the country in 2016, Madagascar has implemented several reforms to strengthen macroeconomic stability, improve central bank operations and financial supervision, increase revenue generation and prioritise public spending, strengthen the judicial system and decrease corruption. However, political uncertainty linked to the upcoming presidential elections in late 2018 is a risk to the country’s continued development, as are external factors including the rising global oil price and ever-present risk of natural disasters. The World Bank (2017). World Development Indicators. http://databank.worldbank.org/data/source/world-development-indicators/(Accessed 21 September 2018). IndexMundi (2018). Madagascar Demographic Profile 2018. https://www.indexmundi.com/madagascar/demographics_profile.html. (Accessed 21 September 2018). The World Bank (2018). Madagascar Economic Update. Fostering Financial Inclusion. June 2018. http://documents.worldbank.org/curated/en/789051532448517077/pdf/128782-REPLACEmENT-Digital-MEU-Fostering-Financial-Inclusion.pdf. Pg.2. (Accessed 21 September 2018). Ritzen, Y. (2018). Cyclone Ava kills at least 29 in Madagascar. Aljazeera. 9 January 2018. https://www.aljazeera.com/news/2018/01/cyclone-ava-kills-29-madagascar-180109184951149.html(Accessed 21 September 2018). The World Bank (2018). Also: Trading Economics (2018). https://tradingeconomics.com/madagascar/inflation-cpi. (Accessed 21 September 2018). IMF (2018). IMF DataMapper. https://www.imf.org/external/datamapper/NGDPDPC@WEO/OEMDC/ADVEC/WEOWORLD. (Accessed 19 September 2018). The World Bank (2018). Pg. 18. IMF (2018). IMF Country Report No. 18/239. July 2018. https://www.imf.org/en/Publications/CR/Issues/2018/07/25/Republic-of-Madagascar-Third-Review-Under-the-Extended-Credit-Facility-and-Request-for-46120. (Accessed 23 September 2018). According to the latest available data, there are 11 banks, 25 deposit-taking microfinance institutions and 18 other financial institutions operating in Madagascar.Of the 11 banks, 10 are foreign-owned and the top four banks own close to 90 percent of total assets and deposits. The government holds a minority stake in three of the top four banks. Madagascar’s banking sector is reported to be “on average, sufficiently capitalised, liquid and very profitable” with asset quality steadily improving since 2013. According to Banky Foiben’i Madagasikara, the country’s Central Bank (hereinafter “BFM”), as at March 2018, total banking assets stood at MGA 9.7 trillion (US$2.8 billion).In the same period, non-performing loans (NPLs) to total gross loans was 7.9 percent, down from a high of 11.6 percent in December 2013, while the sector’s return on assets and return on equity was 4.5 percent and 43.2 percent respectively. Despite a well-performing sector, banking penetration remains very low in Madagascar. According to 2017 Global Findex data, less than 10 percent of adults (age 15 or older) report having an account (either personally or with someone else) at a bank or other financial institution. Further, the latest FinScope data suggests that 41 percent of Malagsy households are completely excluded from the financial sector.However, mobile money offers some promise for financial inclusion. Between 2014 and 2017, mobile money account usage increased three-fold from 4.4 percent in 2014 to 12.1 percent in 2017. The reach of microfinance institutions (MFIs) has also improved in recent years. In 2016, the household penetration rate of MFIs was 30.4 percent, up from 19.5 percent in 2011.Despite good growth, the sector still struggles with limited profitability and high loan losses. In 2016/17, the return on equity ranged from negative 10 percent to positive 23 percent (depending on the type of MFI) and NPLs ranged from 6 percent – 21 percent. Low levels of financial inclusion, high interest rates, lack of collateral and limited information on borrowers, constrain access to and usage of credit in Madagascar. In 2017, 3.6 percent of adults (age 15 or older) reported borrowing from a financial institution in the past 12 months, while 2.4 percent reported having an outstanding home loan at a bank or other financial institution.As at June 2017, there were over 900 000 borrowers (97 percent of which were individuals) recorded in the country’s public credit registry with 3.9 million open / active loans. This includes all loans from banks and MFIs. In the same period, total credit granted to the economy was MGA 4.2 trillion (US$1.2 billion), of which 12 percent constituted long-term credit (primarily to the real estate sector), while 35 percent was medium-term credit. With bank interest rates ranging from 9 percent to 24 percent per yearand effective interest rates reaching up to 50 percent,it is not surprising that bank lending is only accessible to a small portion of the population (and corporates). Interest rates are market-determined and clearly reflect the inherent risk in the country’s credit market, as well as the cost of capital. As at November 2017, the BFM lending rate was 9.50 percent (up from 8.30 percent in 2016). Despite a small mortgage loan market, several banks offer housing-related loans including BNI Madagascar, Bank of Africa Madagascar (BOA), BFV-Société Générale (BFV-SG), AccèsBanque Madagascar, Banque Malgache de L’ocean Indien (BMOI), BGFI Bank, and Mauritius Commercial Bank (MCB). Loans terms vary depending on the purpose of the loan. The maximum loan term for land acquisition or home improvement/renovations is 96 months, while loans to purchase or construct a house range from 36 months – 240 months.Interest rates do not appear to vary depending on the type of loans. For example, BNI Madagascar charges 15 percent per annum plus a 2.2 percent initiation fee for all types of real estate loans (land acquisition, house purchase or construction), while BFV-SG charge the same rate for home purchase/construction and home renovation projects (18 percent per annum). Banks primarily target salaried individuals and application criteria includes a monthly contribution of no more than 33 percent of monthly income and at least a 10 percent deposit. 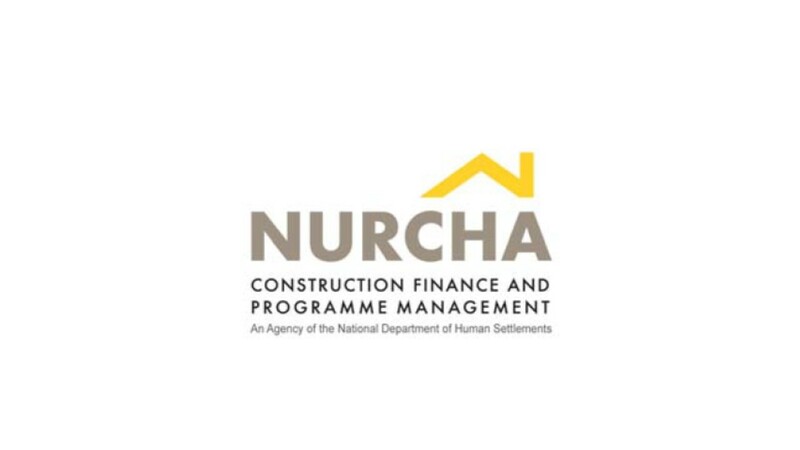 A few microfinance institutions also offer housing-related loans, namely Baobab (formerly MicroCred), OtivTana and Premiere Agence de Microfinance. The loans are primarily for home improvements and have a maximum loan term of 36 months. Maximum loan amounts vary considerably from MGA 50 million to MGA 600 million and interest rates are charged monthly on a declining balance.For example, Baobab charge 3 percent a month on a declining balance with a once-off 2.4 percent administrative charge on new loans. Of the 10 MFIs registered on MixMarket with available credit data, Baobab has the largest gross loan book of MGA 249 billion (US$72 million) with over 33 000 active borrowers. In an effort to improve credit decision-making in the country, expand the borrower base and grow the performance of the credit sector, a new Credit Information Law (N°2017-045 of 15 February 2018) was passed. The new Credit Law governs the establishment, operations and supervision of private credit bureaus in Madagascar. In early 2018, the BFM started the process of identifying and selecting an international credit bureau to operate in the country. The appointed private credit bureau will be responsible for providing credit information and credit risk services to support all lending sectors and institutions (financial and non-financial, regulated and non-regulated).According to the BFM, once the country’s first private credit bureau is operational, the public credit registry, will be reviewed and potentially repurposed for internal use. IMF (2016). IMF Country Report No. 16/377. Financial System Stability Assessment. https://www.imf.org/external/pubs/ft/scr/2016/cr16377.pdf. (Accessed 23 September 2018). Pg. 11. The World Bank (2018). Pg. 4. BFM (2018). Bulletin of March 2018. http://www.banque-centrale.mg/index.php?id=m6_2_41. (Accessed 23 September 2018). Pg. 28. Finmark Trust (2016). FinScope Consumer Survey Madagascar 2016. http://www.finmark.org.za/wp-content/uploads/2016/11/finscope-madagascar-2016-launch-presentation_en.pdf. (Accessed 23 September 2018). The World Bank (2017). Databank – Global Financial Inclusion. http://databank.worldbank.org/data/reports.aspx?source=global-financial-inclusion. (Accessed 23 September 2018). World Bank (2018). Pg. 23. Cenfri (2017). MAP Madagascar. Financial inclusion diagnostic findings. https://cenfri.org/map/madagascar/. (Accessed 23 September 2018). The World Bank (2017). Databank – Global Financial Inclusion. The World Bank (2018). Pg. 13. BFM (2017). Evolution du taux directeur de la Banque Centrale. 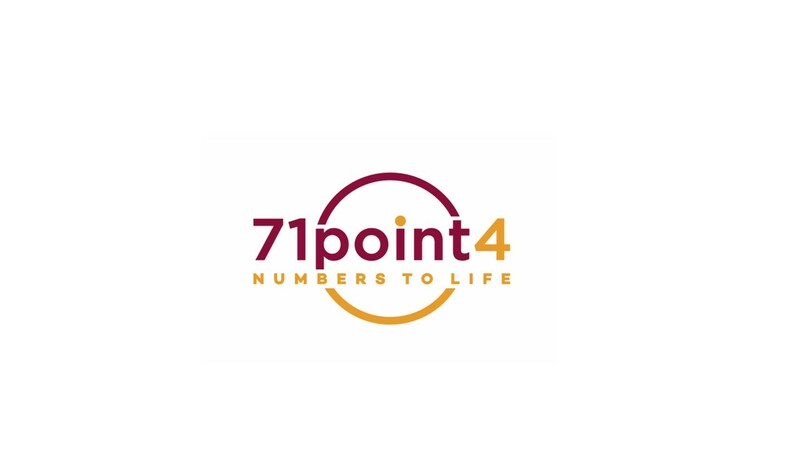 http://www.banque-centrale.mg/index.php?id=m5_2_1(Accessed 23 September 2018). MixMarket (2018). Madagascar Market Overview. https://www.themix.org/mixmarket/countries-regions/madagascar?order=gross_loan_portfolio&sort=desc(Accessed 25 September 2018). BFM (2018). Improving credit reporting in Madagascar: Request for Proposal.Pg. 15. Given the high rate of poverty, housing is unsurprisingly largely unaffordable to the majority of the population in Madagascar. The country has a large but low-paid working population. As at 2016, the total unemployment rate in the country was 2.1 percent.However, in the same year, 95 percent of adults were reported to have a personal monthly income of MGA 400 000 (US$116) or less. For almost half of the adult population (47 percent), the principle source of income is farming or farming-related activities, while 14 percent of adults are self-employed in unregistered businesses. Only 15 percent of adults are salaried workers. Household affordability is further affected by natural disasters. Almost 40 percent of adults (4.3 million people) said that they experienced an agricultural shock in the past year. The textile industry is another key employer in the country. Following the country’s reinstatement to the African Growth and Opportunity Act (AGOA) in 2014, several large international clothing retailers relocated their factories to Madagascar including M&S, Zara, American Eagle and Woolworths. In 2016, approximately 45 000 workers were employed in textile-related jobs in the country’s export processing zones (EPZ),located around Antananarivo and Antsirabe, the two largest cities in Madagascar. In addition to the preferential trade agreements in the EPZs, the textile industry benefits from the country’s low wages. As at March 2018, the minimum monthly wage was MGA 168 019 for non-agricultural workers and MGA 170 422 for agricultural workers (approximately US$49).Assuming a factory worker earns three times the minimum wage (approximately MGA 500 000 or US$145 p/m), which is in line with the wages of someone falling between a high skilled and low skilled worker,they should be able to afford rentals or loan repayments of around MGA 166 000 a month (using the bank’s affordability ratio of 33 percent). This is far below the affordability required to rent or purchase a property on the formal market. A one-bedroom apartment in the city centre of Madagascar’s capital city, Antananarivo, rents for between MGA 500 000 – MGA 1.6 million (US$145 – US$464) per month, while a three-bedroom apartment in the same area rents for MGA 1.8 million – MGA 3 million (US$522 – US$870) per month. Rentals are 30 percent to 60 percent cheaper outside of the city centre. A recently constructed 70m2 two-bedroom house just outside of the capital city can cost around MGA 89 million (US$25 810).With a 15-year loan at 15 percent per annum, monthly repayments on this property would be around MGA 1.2 million (US$348), which is within the reach of only a small portion of the population. EY (2018). Global Tax Alert. 24 April 2018. https://www.ey.com/Publication/vwLUAssets/Madagascars_minimum_wage_increase_impacts_social_contributions/$FILE/2018G_02146-181Gbl_Madagascar%20-%20Minimum%20wage%20increase%20and%20its%20impact.pdf. (Accessed 25 September 2018). Trading Economics (2018). https://tradingeconomics.com/madagascar/wages-high-skilled. (Accessed 25 September 2018). Numbeo (2018). Cost of Living in Antananarivo. https://www.numbeo.com/cost-of-living/in/Antananarivo. (Accessed 25 September 2018). Slum dwellings are characteristic of urban living conditions in Madagascar. Based on the lasted available data (2014), 77.2 percent of urban households live in slums.According to the Periodic Household Survey of 2010, about 86.5 percent of the country’s households live in self-built, traditional housing. These houses are usually temporary structures made with compacted mud and poorly attached thatched roofs which provide very little protection from diseases and the environment, and little security from crime. Access to basic services is very low. In 2015, 51.5 percent of the total population had access to an improved drinking water source;this was higher in urban areas at 81.6 percent.In the same period, only 12 percent of the population had access to improved sanitation. Access to electricity is also very low, however, with plans to tap into the country’s rich renewable energy sources, this should soon change. Madagascar is one of the countries participating in the Climate Investment Fund’s (CIF) Scaling up Renewable Energy in Low Income Countries Programme (SREP). The SERP forms part of Madagascar’s New Energy Policy which aims to provide electricity to 70 percent of households by 2030, through a combination of hydroelectricity, wind power, and solar energy. Public housing developers in Madagascar include Societe d’Equipement Immobilier de Madagascar (SEIMAD) and Agence Nationale d’Appui au Logement et a l’Habitat (ANALOGH). According to a 2015 Habitat report, the combined impact of these two developers has, in the past, been negligible with most of the housing being unaffordable for the poor. However, in 2016 ANALOGH announced a plan to construct 500 social housing units per year starting in 2017, with the aim to build 10 500 units in total.As at February 2018, fifty social housing units had been built in the rural district of Miarinarivo, about 100km outside of the capital city.While several other housing projects are listed on their website, it is unclear if they have started construction or not. Urban development and improving the living conditions of the poor in Madagascar has largely been driven by the international donor funders and NGOs. Since 2012, the African Development Bank (AFD) together with financing from the European Union and Malagasy Government, has implemented a large-scale urban development and infrastructure project in Antananarivo, called the Lalankely Project. The project is currently in its third phase and focuses on improving the water drainage, sewerage systems and sanitation in target neighbourhoods. It is estimated that 950 000 households across 220 neighbourhoods will benefit from the project. The European Investment Bank (EIB) has also undertaken a project to modernise the road network in Madagascar. The project plans to upgrade two sections of national roads—348 km of road in total. By improving road infrastructure, the project hopes to spur on much-needed economic development and growth in the country, as well as improve the mobility of people. 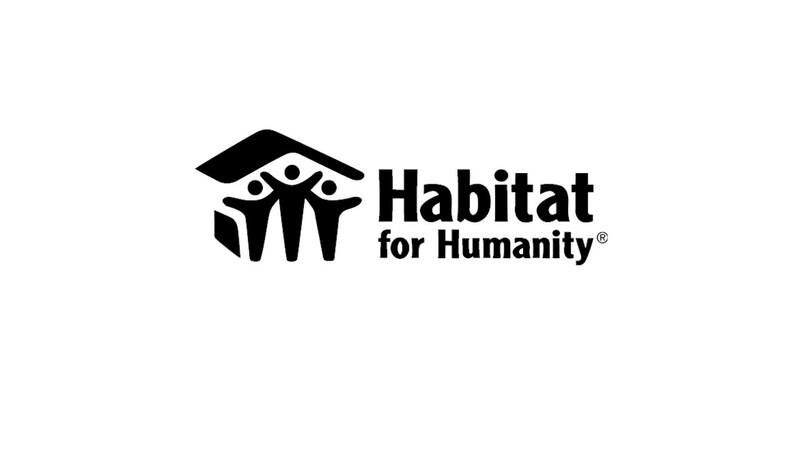 Furthermore, Habitat for Humanity has been working in the country since 2000 and has helped an estimated 4 460 families improve their living conditions,while UN-Habitat undertook a participatory slum upgrading programme between 2013 – 2015. Improved drinking water: use of any of the following sources: piped water into dwelling, yard, or plot; public tap or standpipe; tubewell or borehole; protected dug well; protected spring; or rainwater collection. Indexmundi (2018). Madagascar Factbook. https://www.indexmundi.com/madagascar/(Accessed 26 September 2018). Improved sanitation: use of any of the following facilities: flush or pour-flush to a piped sewer system, septic tank or pit latrine; ventilated improved pit (VIP) latrine; pit latrine with slab; or a composting toilet. energy in Madagascar. https://www.climateinvestmentfunds.org/sites/cif_enc/files/srepinvestment_plan_for_madagascar_final.pdf(Accessed 26 September 2018). Pg. 26. Midi Madagasikara (2016). ANALOGH: 500 social housing will be built in 2017. 3 December 2016. http://www.midi-madagasikara.mg/politique/2016/12/03/analogh-500-logements-sociaux-seront-construits-2017/(Accessed 26 September 2018). ANALOGH (2018). http://www.analogh.mg/index.php/122-construction-de-logements-sociaux-a-amboasary-ambohidratrimo(Accessed 26 September 2018). EFSD (2017). Promoting investment in the Neighbourhood and Africa. https://ec.europa.eu/europeaid/sites/devco/files/efds-report_en.pdf(Accessed 26 September 2018). Pgs. 39 – 40. CAHF (2017). Housing Finance in Africa Yearbook (8th Edition). http://housingfinanceafrica.org/app/uploads/2017_CAHF_YEARBOOK_14.10-copy.compressed.pdf(Accessed 26 September 2018). Pg. 171. UNHabitat (nd.) Madagascar.https://unhabitat.org/madagascar/(Accessed 26 September 2018). Given the low levels of affordability, it is not surprising that most of the residential housing development and sector at large is focused on high-income households and expatriates. Few, if any, private property developers focus on building affordable, well-located units. Aside from the low levels of affordability, other constraints to new development include the time and cost of accessing construction permits and registering a property, in addition to the inefficient but developing land administration system. These constraints are all reflected in the country’s poor ranking on the World Bank’s Doing Business Indicators (DBI). In terms of registering property, the country ranks 161stout of 190 countries (down from 159th in 2017). It currently takes six procedures, 100 days and 9.1 percent of the property value to register a property in the country. The inefficiency of the process is further exacerbated by the number of departments and agencies that are involved in the process including the Property Registry, Topographical service, Regional Planning Service and the Tax Authority. Likewise, the process for acquiring a construction permit is equally lengthy and costly. According to the World Bank Doing Business Report, it currently takes 16 procedures, 185 days and close to 55 percent of the property cost to obtain a building permit in Madagascar. Madagascar also performs poorly with respect to quality of land administration. Out of a possible score of 30, Madagascar scores 8.5, just below the Sub-Saharan Africa average of 8.6. The country falls short on this measure for several reasons including the lack of electronic database for checking encumbrances (i.e. mortgages, restrictions etc. ), the lack of registry containing geospatial data on privately-held properties, and the lack of national database to verify the accuracy of identity documents.However, since 2014 the government has embarked on a pilot project to digitise existing land titles and, as at January 2018, 65 percent of titles in the Avaradrano district were digitised.However, it must be noted that there are currently only 25 000 registered titles in the district. Knight Frank (2017). Africa Report 2017/2018. https://www.knightfrank.com/publications/africa-report-201718-4576.aspx (Accessed 26 September 2018). Pg. 27. The World Bank (2018). Ease of Doing Business in Madagascar. http://www.doingbusiness.org/en/data/exploreeconomies/madagascar#DB_rp(Accessed 26 September 2018). MATSF (2018). 65% of the land titles with the Cirdoma Avaradrano are already digitized. 12 January 2018.http://www.mepate.gov.mg/65-des-titres-fonciers-aupres-du-cirdoma-avaradrano-sont-deja-numerises/(Accessed 26 September 2018). Since 2005, land reform in Madagascar has focused primarily on issues related to land tenure and administration. Central to the reforms are two laws: the 2005 Framework Law and the 2006 Law on Untitled Private Property, which implemented two major changes: the decentralisation of land registration to local land offices and the transferral of untitled land rights from the government to individuals. Following these developments, the decision was made to transfer the administration of non-titled land to the Local Land Offices (LLO) and establish a new form of legally-binding land ownership, known as the Land Certificate. This is in addition to Land Titles. The difference between Land Titles and Land Certificates is that the latter are issued by the LLOs on request and only if the requestor’s ownership rights have been validated by the community and local authorities. In other words, it is a “socially-validated” ownership right to private non-titled land. The Land Certification process was set up as a demand-led system placing the burden on households to request secure tenure.As at 2018, around 257 000 land certificate applications had been received in total, of which 142 000 (approximately 55 percent) were granted.That’s an average of approximately 11 000 Land Certificates granted per year since 2006. The Land Certification system was based on an established informal (not legally recognised) system called petits papiers. Petits papiersare handwritten documents prepared for the purpose of property transactions (sale, inheritance and attesting property) which are typically signed by witnesses or stamped by the local chief/authority. A 2013 survey of 1 800 predominantly rural households in Madagascar found that petits papierswere used to formalise 90 percent of sale transactions. Land Titles, on the other hand, are issued by the Land Administration Office to households residing on State-owned land. In an effort to speed up the transfer of land ownership, the government launched the Operation Domaniale Concerted (ODOC) project in February 2018, which plans to provide 100 000 titles to qualifying households by 2020. In terms of foreign-ownership of land, foreign companies are not allowed to own land in Madagascar but they may acquire land through leasehold (99-year lease contracts). However, the 2017 Investment Law (Law No. 2007-036) provides some leeway into land ownership for foreign-managed companies in Madagascar provided the land is purchased for commercial purposes. Aside from the abovementioned laws, there are no other housing-specific policies in place. The country’s policy environment, characterised by the agenda set out in the 2017 Economic Development Document produced by the Ministry for Economy and Planning, remains focused on issues related to inclusive economic growth, land tenure problems, underdeveloped sanitation infrastructure, persistent inflation and the erosion of purchasing power, limited and inefficient financial system, governance problems, and the impact of adverse weather conditions. Based on the available information, housing is not identified directly as a mechanism for social development or as an objective of the policy. Burnod, P. et al.(2014). Land certification in Madagascar: formalizing (f)or securing? https://www.researchgate.net/publication/282007992_Land_certification_in_Madagascar_formalizing_for_securing(Accessed 26 September 2018). Madagascar Land Observatory (2018). http://www.observatoire-foncier.mg/cartegf.php(Accessed 26 September 2018). DGGFPE (2018). Domerial operation concerted: 300 families receive their land titles. 1 June 2018. http://www.dggfpe.mg/index.php/2018/06/01/operation-domaniale-concertee-300-familles-recoivent-leurs-titres-fonciers/(Accessed 27 September 2018). ALB (2018). Special Report on Investment in Africa 2018. 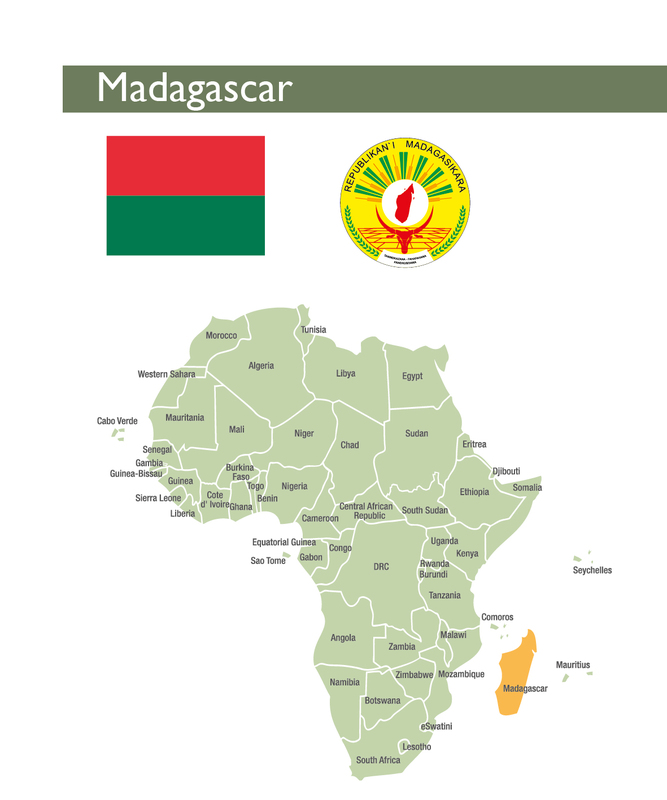 Country chapter for Madagascar. https://www.africanlawbusiness.com/specialreport/madagascar(Accessed 27 September 2018). In addition, the country’s growth is dependent on the continued performance of key sectors such as domestic tourism and the manufacturing and textile sector. Both sectors are labour-intensive and hold the potential to grow the country’s formal, salaried labour force and reduce households’ overall dependency on the fragile agricultural sector. In addition, and more specifically related to the textile industry, opportunities exist to explore employer-led housing solutions for the large numbers of urban-based, low-paid factory workers. While the country has some way to go before it has an efficient land administration and registration system, good progress has been made in recent years. With improved access to secure title, more opportunities exist for households to realise value from their properties and land. While it might be too soon to tell, the impact of improved land security on the country’s property market should be monitored to see if and how it has affected change (either by way of increasing property values, the number of transactions taking place, or the level of investment households’ put into their existing properties). The country’s rich renewable energy sources also provide opportunities for the financing of energy-efficient products which can improve the living conditions of many households across rural and urban areas.